In the market for a mortgage? We will be glad to assist you! Give us a call today at 503-690-3088. Want to get started? Apply Here. Many new homebuyers make the mistake of rushing out to buy new things for their home soon after the seller accepts their offer and the loan is approved. Keep in mind that until closing, your lender is watching you very closely. Here are some actions to refrain from before closing to assure the transaction goes well. Don't overspend on big-ticket items Although you may be listing ways to turn your new home into a castle, try to stay away from major purchases like appliances, electronics, or furniture. You will also want to stay away from vacations and car purchases until your loan closes. Your credit numbers could be altered suddenly if you purchase new furniture using plastic. It's also a mistake to make those large purchases with cash. Lenders are examining your available cash when considering your loan. Don't get a new job. Stability in your work history is a positive thing to lending institutions. Getting a new job may not jeopardize your ability to qualify for a mortgage loan - particularly if you are getting a bigger paycheck. However, switching careers during the loan process may influence your approval. Don't move cash around or switch banks. Bank statements from the last two or three months for all of your accounts (checking, savings, money market, and others) will likely be studied as the lending institution makes decisions regarding your loan application. Your lender is looking for a steady flow of your money over the month, in the interest of avoiding fraud. Changing banks or transferring finances to another account - even if its merely to pool funds - may make it difficult for the lender to verify your funds. Don't give money directly to your seller (commonly in the case of of "for sale by owner") for a "good faith" deposit. Until the sale is complete, the earnest money actually belongs to you. Your good faith money is to be used for your expenses closing; some individual sellers may not know this. You'll need to put the funds into a trust account, or get a neutral party, like an attorney to hold them until closing. The contract should document where the money goes if the home purchase fails. 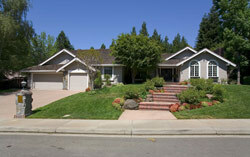 Mortgage Experts, Inc. can walk you through the pitfalls of getting a mortgage. Call us at 503-690-3088.